stacker cranes with satellites as load bearing devices enable multi-depth storage. This allows you to make optimal use of the available space as well as to implement precise storage processes with a higher handling frequency. Our MAXOLUTION® system solution for stacker crane offers you a practical overall concept from a singe source. 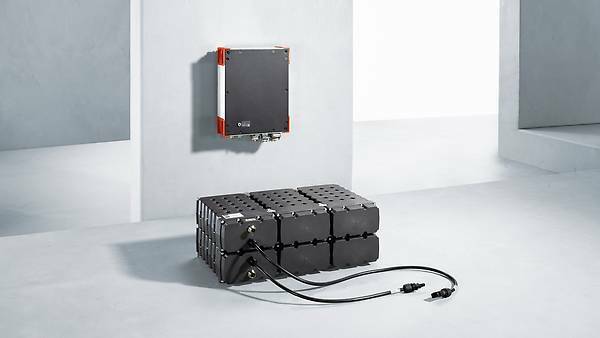 This performance optimised system solution consists of the following MAXOLUTION® components: drive technology, energy management, control technology, communication and safety technology - all fully compatible with each other. Communication with the satellite occurs at various positions on the stacker crane. Our modern safety technology ensures safe functioning. Also optimise your storage enabling improved material flow in the context of your overall processes.